December | 2013 | Let their light shine! 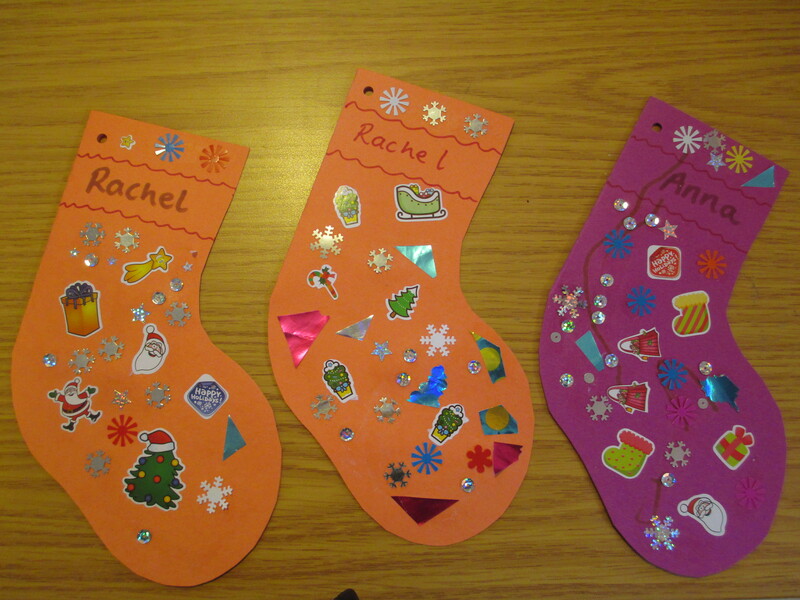 The children can decorate the stocking with crayons/felt tips/ sequins/ stickers/ glitter. Apart from the stocking shape this is quite an open ended craft activity. 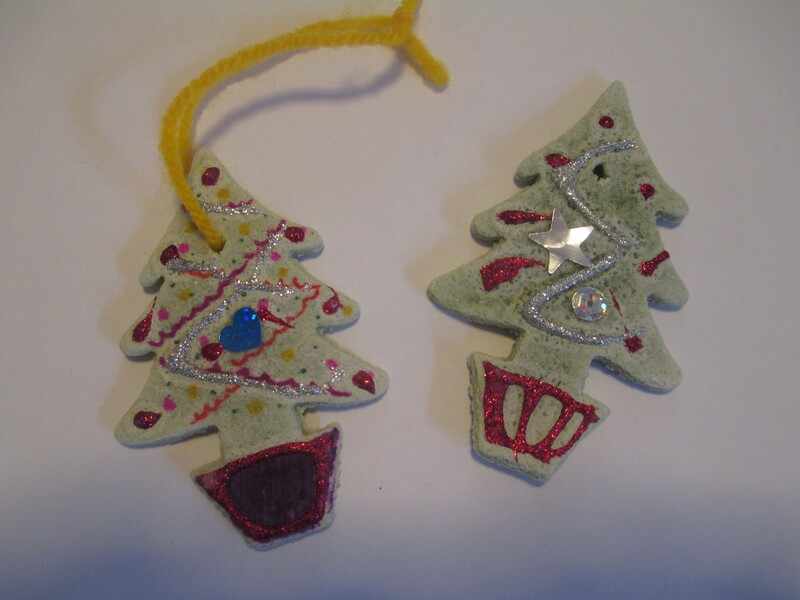 Give the children lots of different materials to choose from but let them decorate the stocking as they wish. 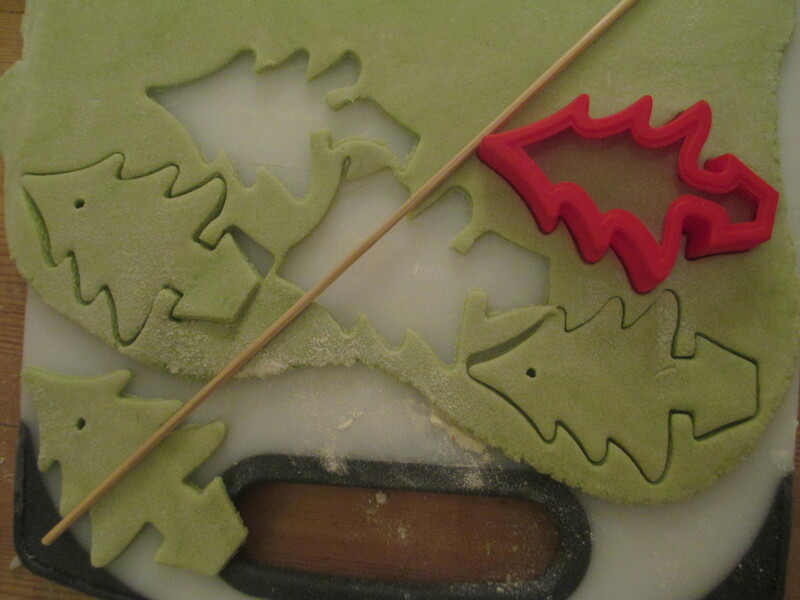 Roll out and use a cookie cutter to make Christmas tree shapes. If you want to make hanging decorations make a hole for the thread now with a skewer. 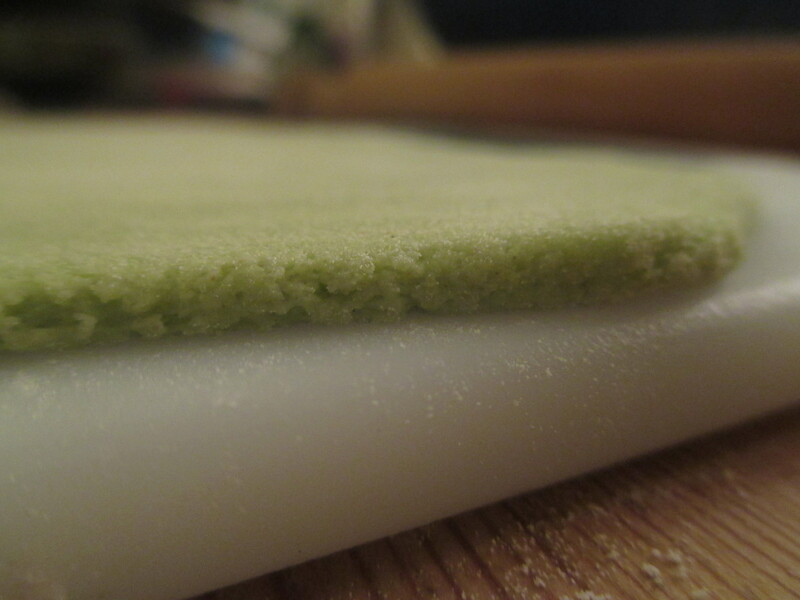 Dry – either in a low over for three hours; air dry for a couple of days of dry in the microwave for a couple of minutes. 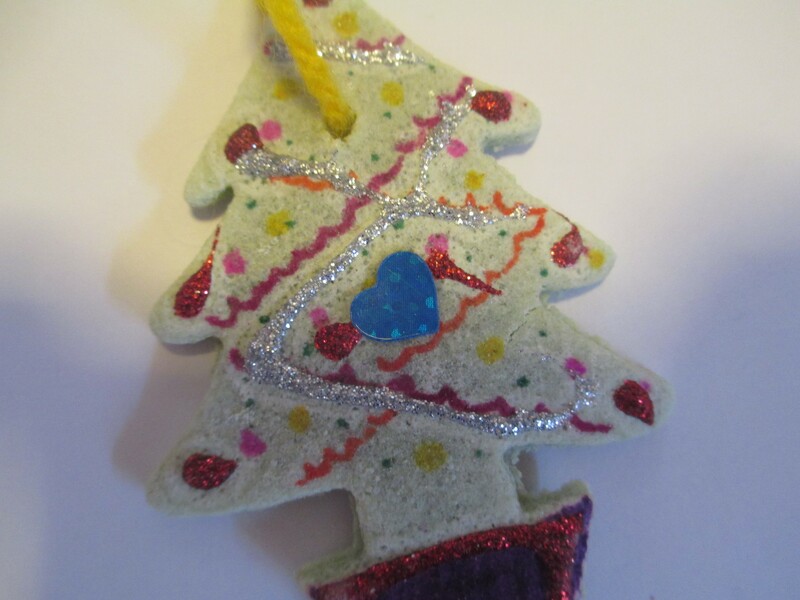 Decorate with paint, felt tips, glitter once the dough is dry. You could paint the trees with green acrylic paint yourself and then the trees are green and ready for the children to decorate. 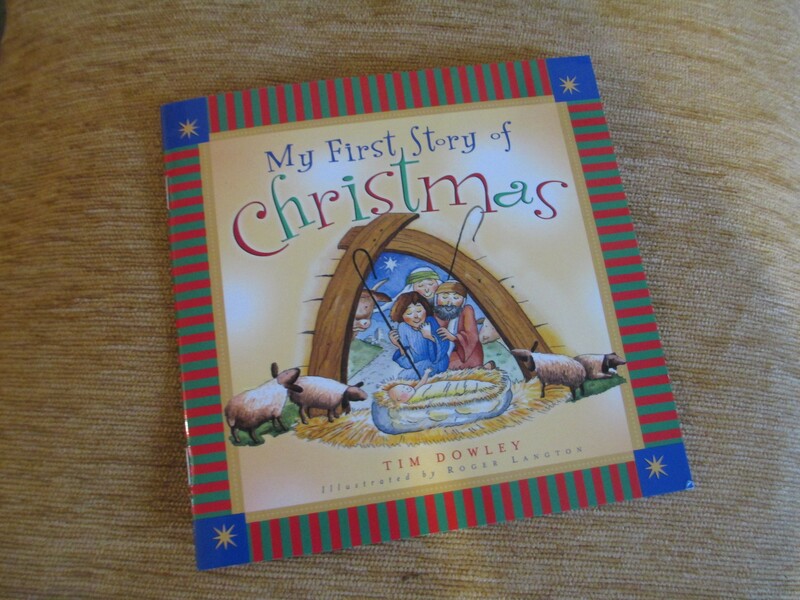 Looking for books about the Christmas story? These are a few of my favourites. 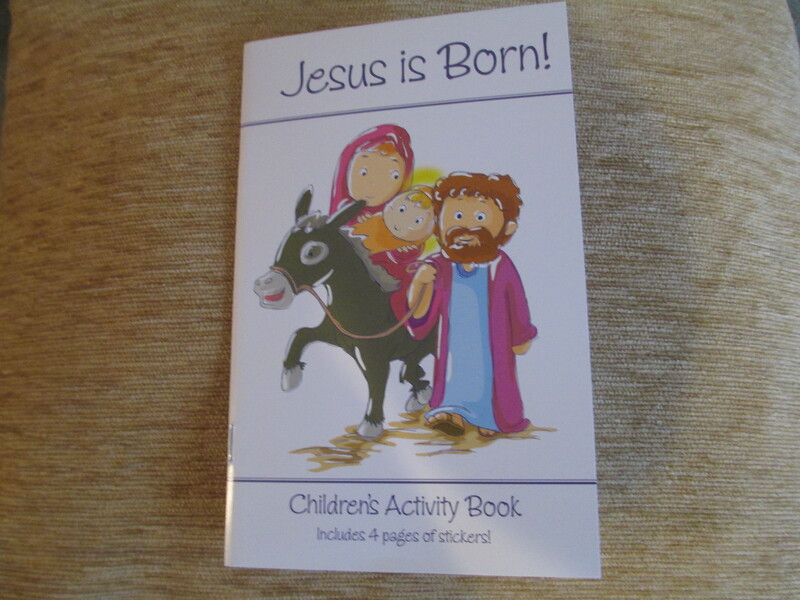 Another great book for young children designed as a gift book for 4-7 year olds. 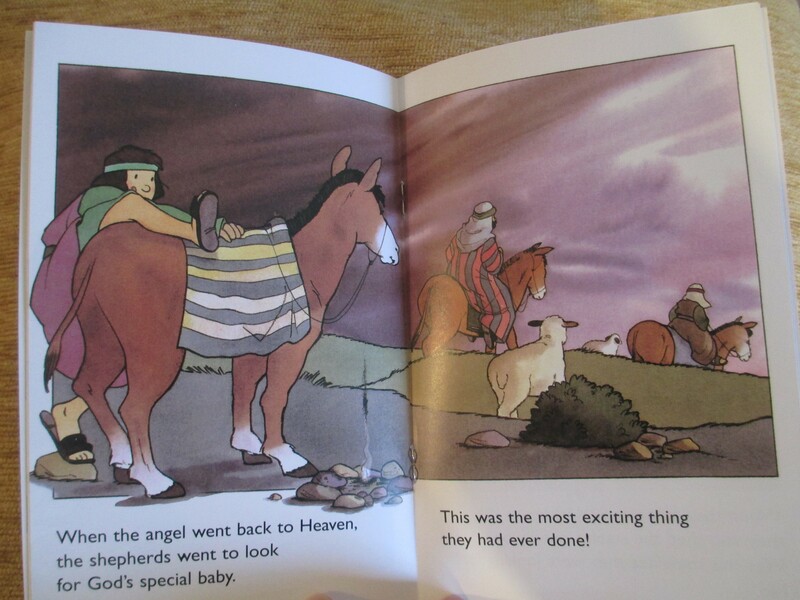 I love the fact that this book accurately depicts the shepherds coming to the stable and the wise men to the house a few years later. 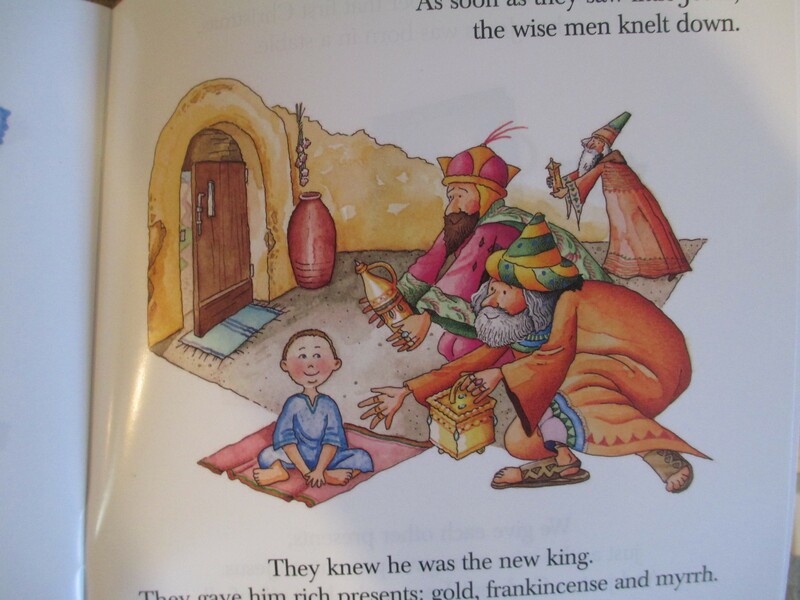 The wise men were never at the stable! 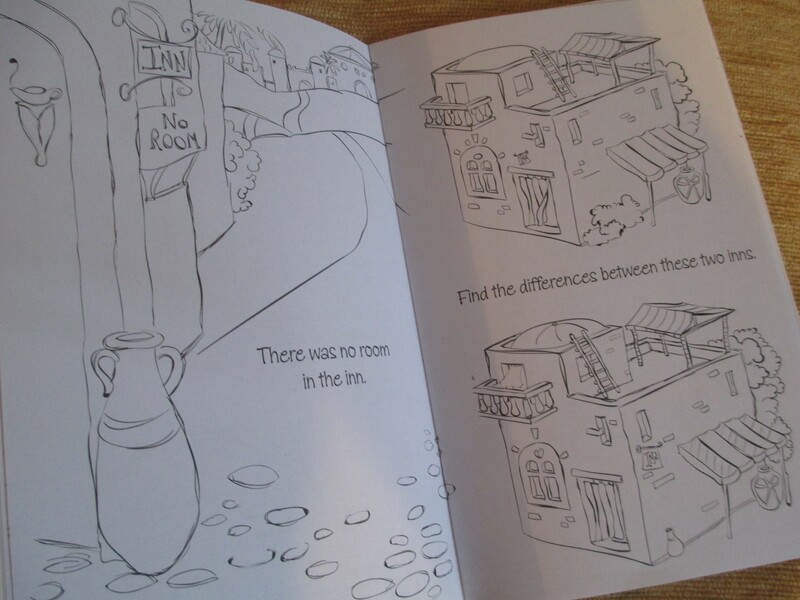 Great illustrations with lots of detail and suitable humour. 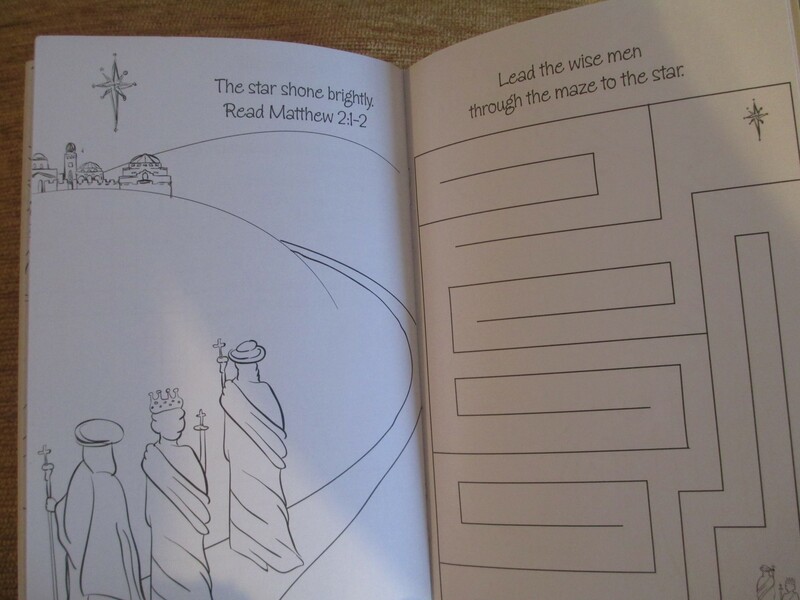 This strory/puzzle book with four pages of stickers would make a good stocking filler or a small gift for Sunday School children. 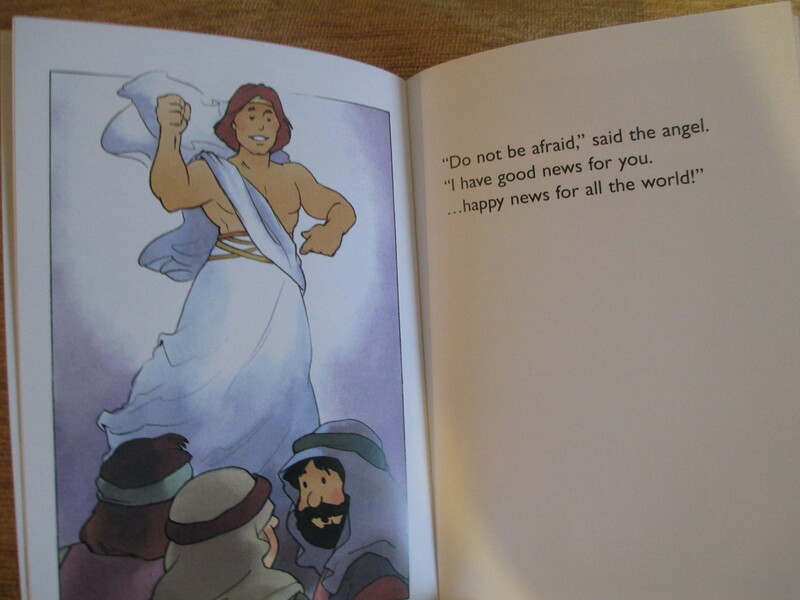 Rather than retelling the Christmas Story the book includes the Bible references. There are puzzles throughout. 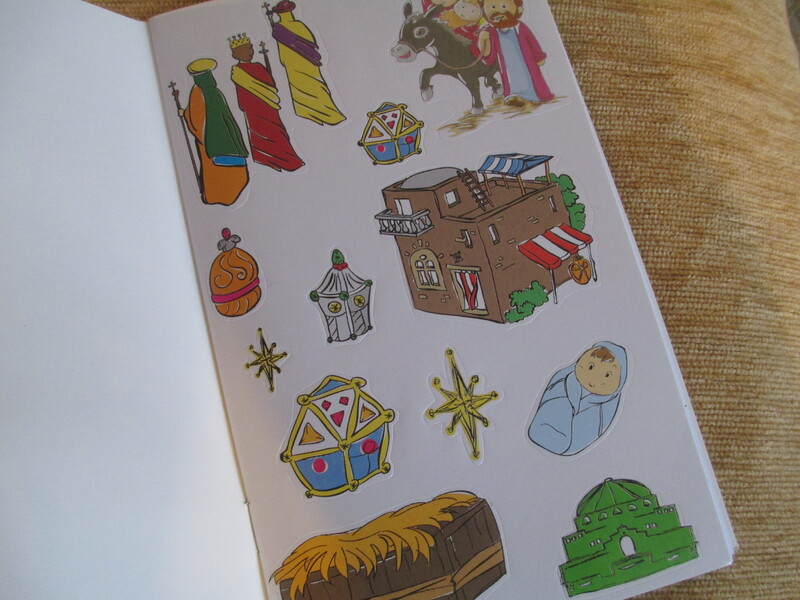 The stickers can be added to the line drawn pictures which the child can colour in. Also the CLC website – http://www.clcbookshops.com/ I bought these books from their London Store. In the Bible Alphabet series I decided on the annunciation story for the letter J because we were so close to Christmas. 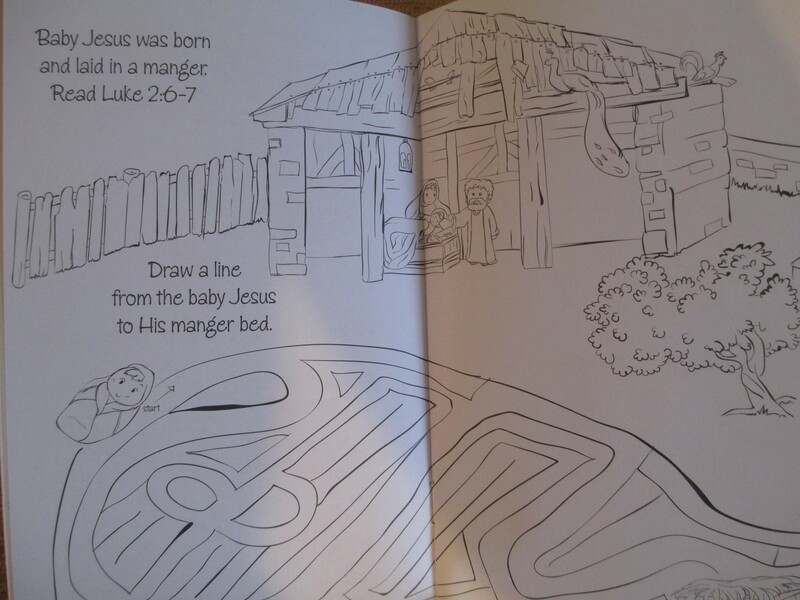 It followed on from ‘i is for Immanuel’ really well. The story is found in Lukes Gospel 1:26-33. To tell the story : Before you begin tell the children that there is something for them to say part way through the story. Get them to repeat ‘don’t be afraid’ a couple of times. there lived a lady who was having a busy day. She was cleaning, she was dusting ..(do the actions for these tasks and ask the children to join in) when she had a big surprise (look surprised) . A big, strong messenger from God had been sent to speak to her. We call God’s big, strong messengers angels. The lady was frightened. She had never seen an angel before. 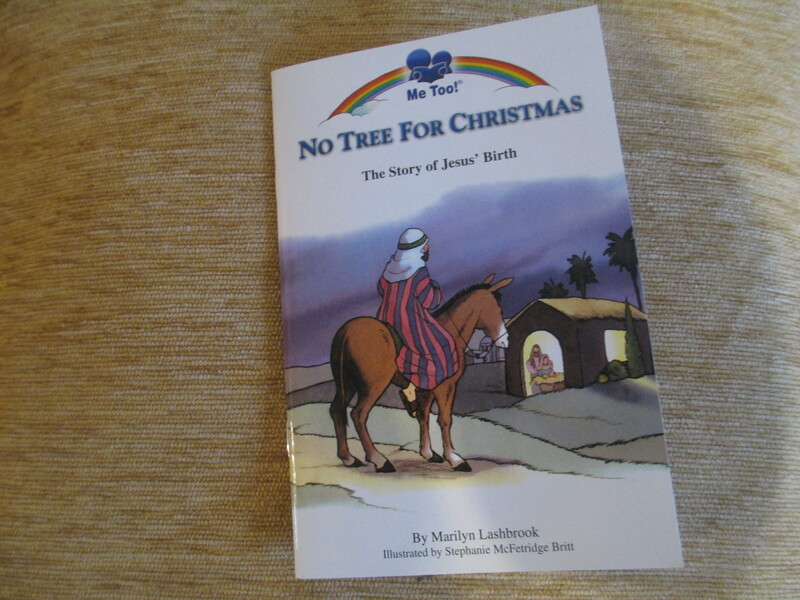 The lady’s name was Mary. She was going to have a special baby and call him Jesus. 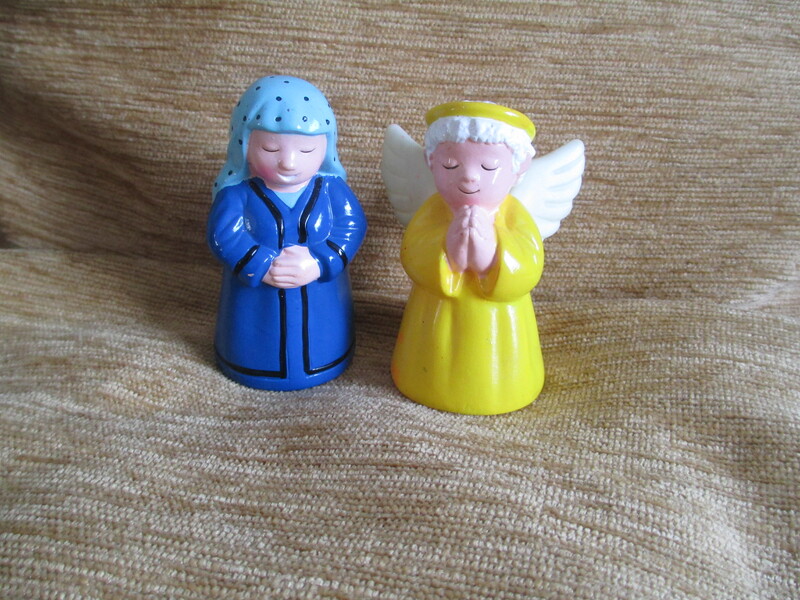 For the figures of Mary and the angel I used items from an old Nativity set from the Early Learning Centre and introduced them from a story bag at the appropiate time in the story. 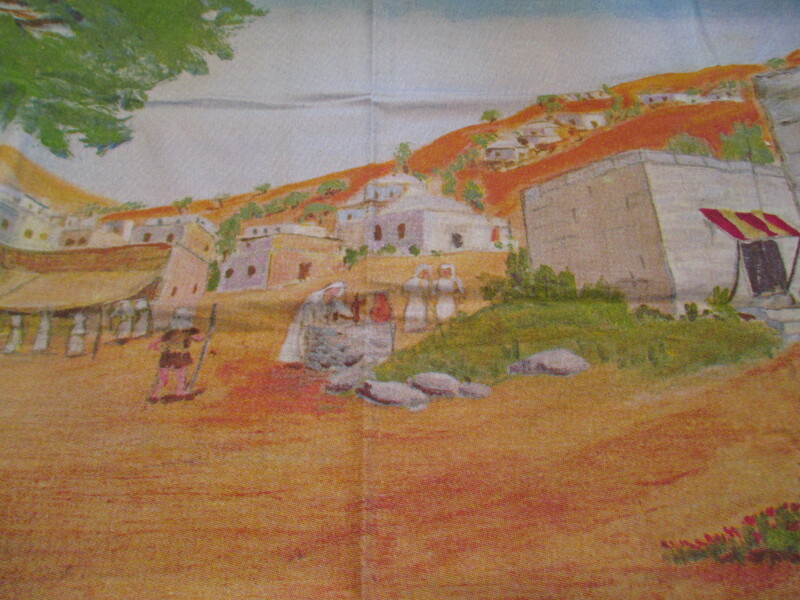 The pictures of Nazareth and the house are flannelgraph backgrounds. These were on board one over the other. After using the first, flip over to the second. just couldn’t think of what to do for the letter i in our Bible alphabet series at toddler group. I looked through Young’s concordance and decided on Immanuel. It fitted so well as we are approaching Christmas. Bible reference – Immanuel is mentioned three times in the Bible – Isaiah 7:14; 8:8 and Matt 1:23. 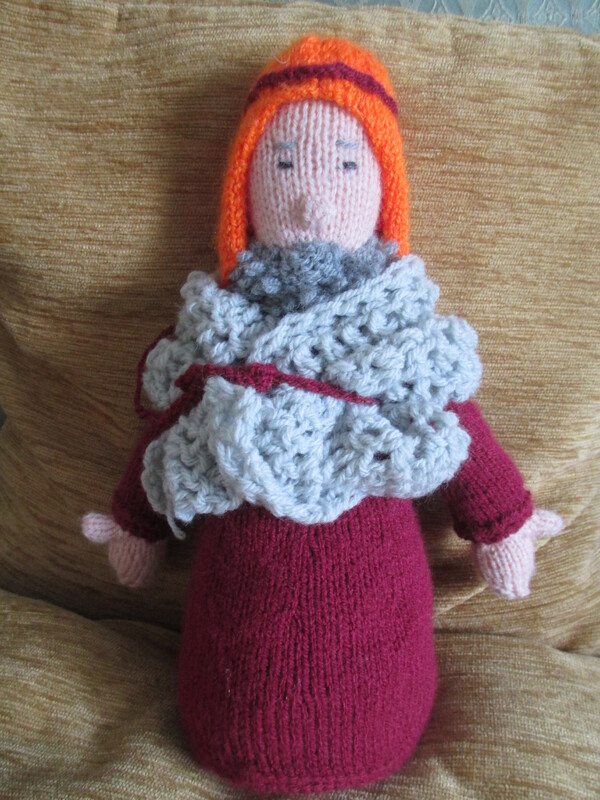 To tell the story – in the story bag I had Isaiah (a knitted doll) and a scroll made out of sugar paper. ‘A long. 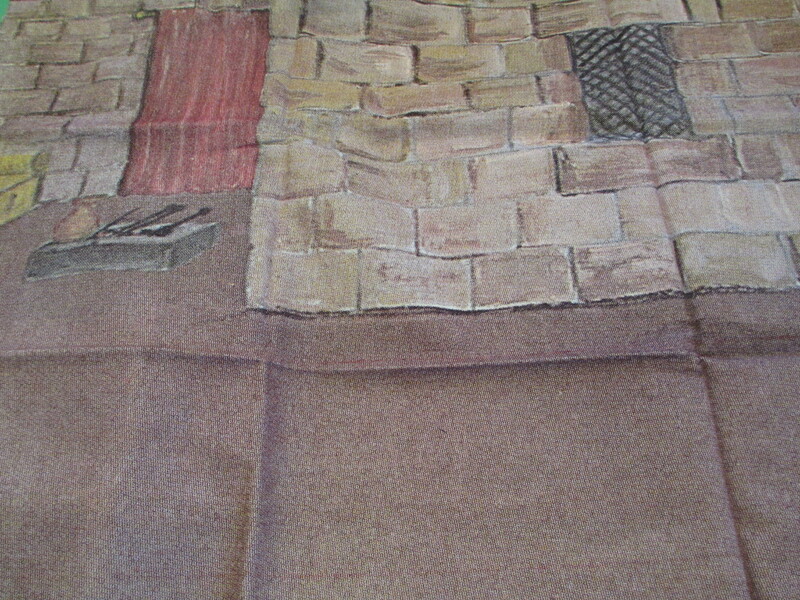 long’ long time ago there lived a man called Isaiah (ask children to say the name and take Isaiah out of the story bag). He was given a message from God to tell to the king. It was a promise. Isaiah wrote it down. What could it be? Shall we find out? (Take the scroll out of the bag and read what is says on the outside). 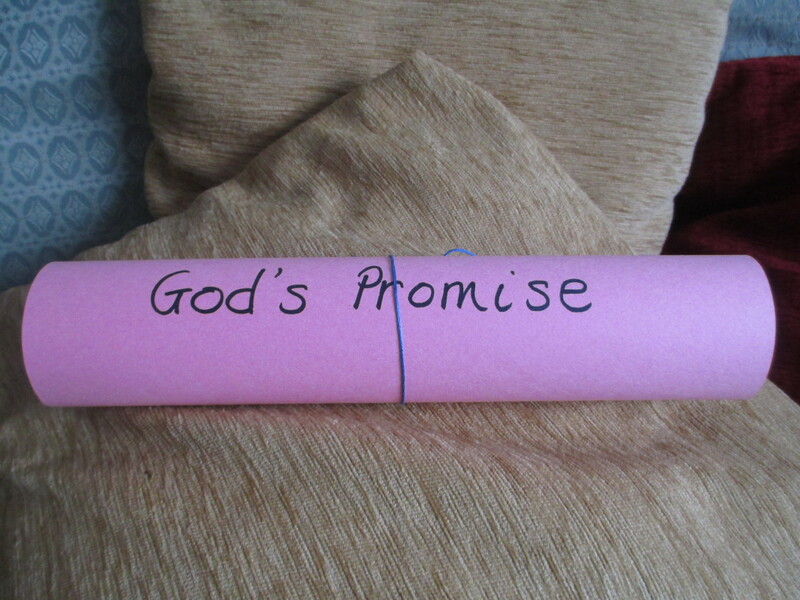 Lets open the scroll and find out what God promised. (Open the scroll and read the words inside). 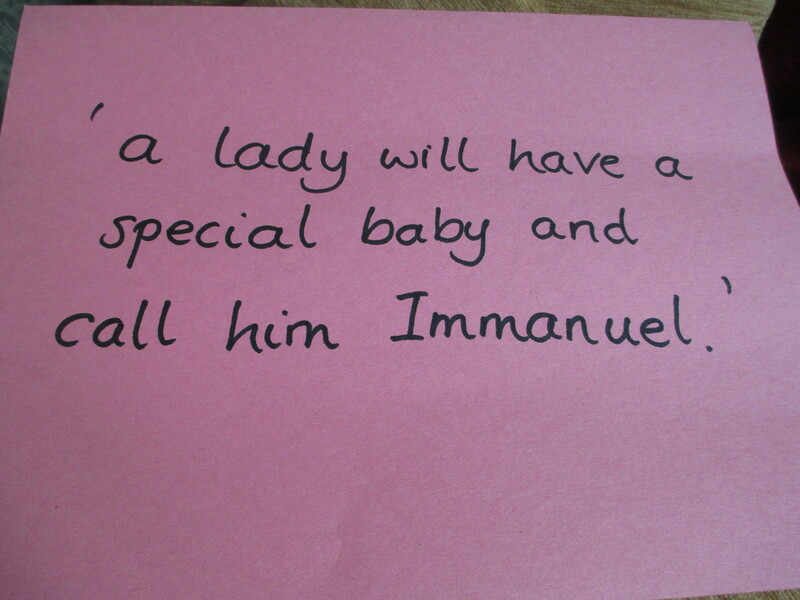 God promised to send a baby who would be called Immanuel (ask children to repeat the name). The baby would be ‘God with us’. 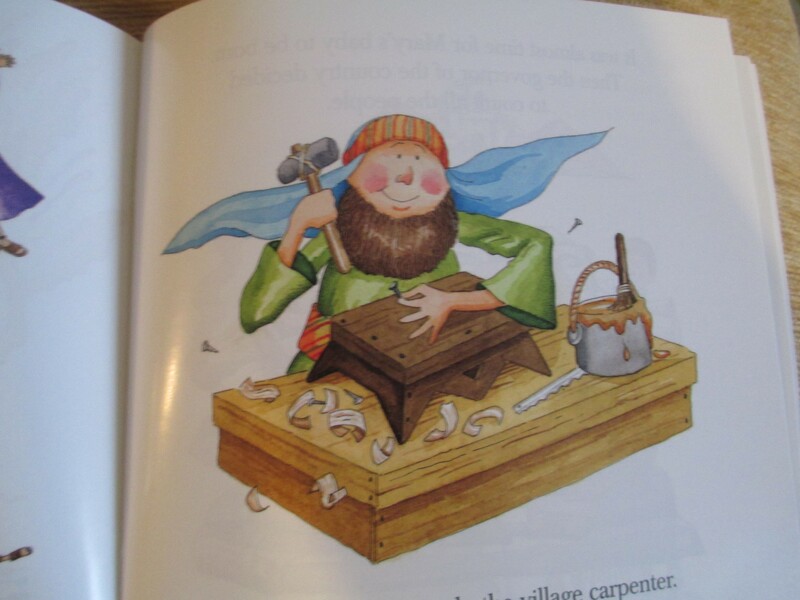 You could of course use this for ‘i is for Isaiah’ but if you were teaching the children the sounds of the letters (phonics) it would not fit.